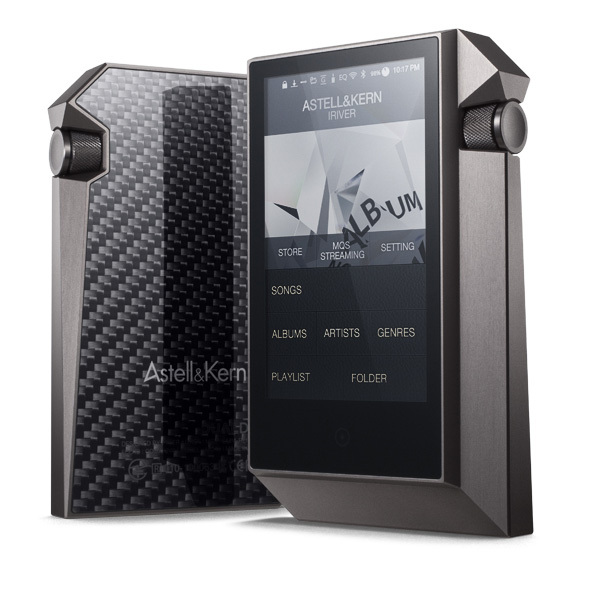 After successfully launching the AK100 and the AK120 models, Astell and Kern asked themselves "What is the ultimate sound quality?" After much consideration, they moved a step further with that goal, which is to deliver the sound exactly as the artist had intended. Moving from the AK100 to AK120, they decided to move to a Dual DAC setup to create better left and right channel separation with clearer sound quality. Initially they thought that the Dual DAC setup would be enough, but while developing the AK240, they felt the need to further improve sound quality in order to accurately reproduce the original sound recording. After countless hours of research and testing, they were able to find the answer. The answer was to create both a balanced output and native DSD playback through the Dual DAC setup. Now with the AK240, they are much closer to the sound quality of the original recording. DSD (Direct Stream Digital) is a digital audio file format originally developed for SACDs (Super Audio CD). Regular digital audio file formats such as PCM (Pulse Code Modulation) is separated into 65,000(16bit) to 16,700,000(24bit) of information on the Y axis, and 44,100(44.1kHz) to 192,000(192kHz) across the X axis for digital signals. DSD files have 1bit (0s or 1s) for Y axis and are separated into 2,800,000(2.8MHz) to 5,600,000(5.6MHz) of information for X axis. Compared to regular audio CDs with 16bit/44.1kHz PCM format, SACD's recording frequency goes up to 100kHz and the dynamic range goes beyond 120dB while maintaining sound clarity during the transmission. 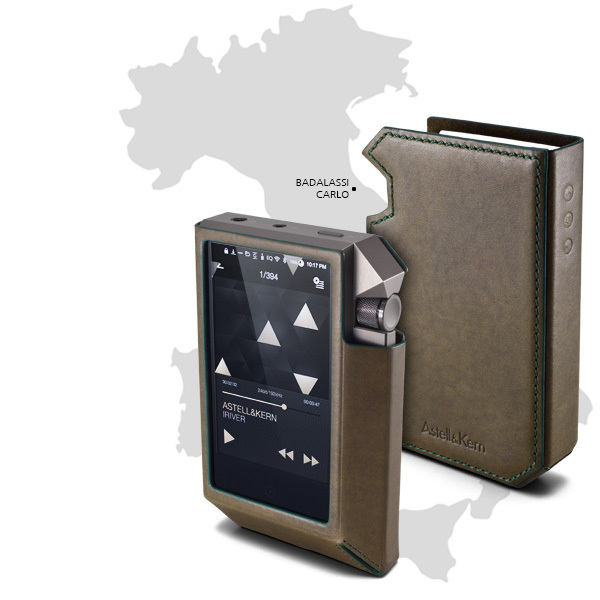 One of the approaches Astell & Kern decided would help move a step closer to the original sound quality was to provide native DSD playback without having to convert it into PCM. This was a difficult task. In order to provide native DSD playback on the AK240, they had to select a different DAC chipset. Making the decision to change the DAC was not easy when they had had so much success with the Wolfson DAC in their other players. The new DAC would need to support Native DSD, allow for the Dual DAC setup and provide perfect Native DSD support? They settled on the Cirrus Logic CS4398 chip in the Dual DAC setup with an added exclusive XMOS chip that will allow for Native DSD support. The process of setting up Native DSD support was not an easy task. Since the main CPU does not process Native DSD, to acheive this A&K needed a chip that would work with it. It took them a long time, but they made it work. Through countless hours of testing, they were able to achieve Native DSD playback by having the main CPU process the data, send it to the exclusive XMOS chip, then through the DAC to deliver the sound. The unbalanced method is the most commonly used basic method which consists of "left and right signals + ground line". This setup includes a ground line which blocks out external noise. However, since the ground line cannot block out all of the external noise completely, external noises can be mixed into the signals that are transmitted, which then result in changes to the sound. The longer the signals travel, the more external noise that will be mixed into the sound which is why it is used within a short distance of 1 to 2 meters. Unlike the unbalanced method, the balanced method has an additional cold signal to compliment the hot signal which reduces the external noise. The balanced method has a few advantages over the unbalanced method. The first advantage is that the hot signal and the cold signal will remove the external noise received. The second advantage is increased output due to the 2 transmitted signals. Since the ground line cannot block out 100% of the external noises, noise will appear on both the hot and cold signals. The alignment of the 2 signals allows the noise to usually appear at similar points where they will eventually be removed as the signals are transmitted. It did not take A&K long to figure out that the AK240's Dual DAC and balanced output resulted in the best sound. 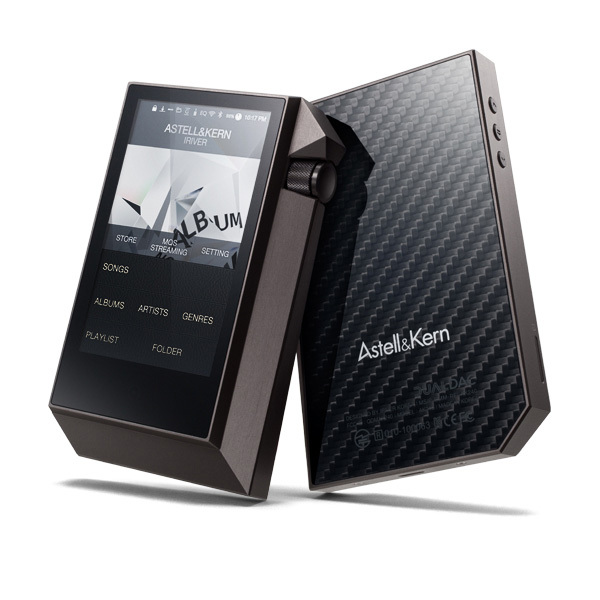 During the development of the AK100 and AK120, Astell&Kern's specific analogue amp setup was already creating full balanced analogue signals streaming from the DAC and they were able to move a step closer towards the original sound by then creating a balanced output terminal at the end. 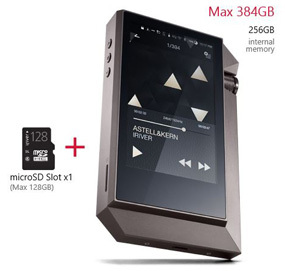 Astell&Kern had created the AK120 Titan with a storage capacity of 128GB, but in order to support Native DSD, MQS, and massive audio files, they had to come up with the ultimate portable music player with 256GB of storage. With 256GB of internal memory, about 2,500 MQS (24bit/96kHz, 4 minute-long, 90MB) songs can be saved. With the addition of a 128GB microSD card, the AK240 can support up to a total memory capacity of 384GB. 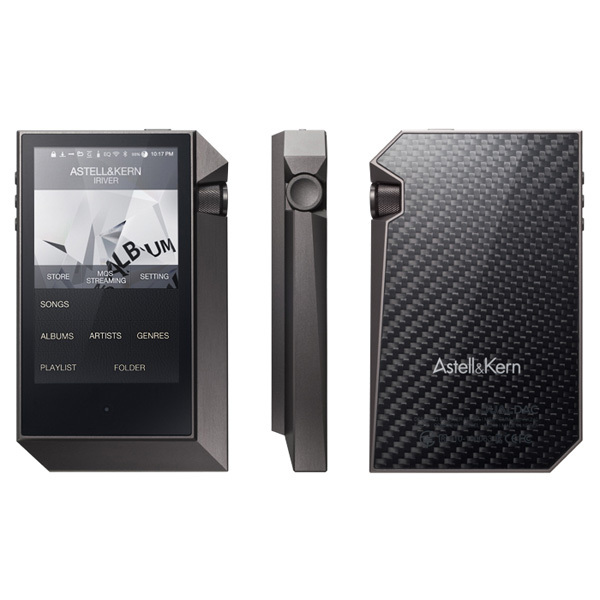 Astell&Kern products have started to evolve into network players by providing Wi-Fi capability. *Astell&Kern MQS Streaming Server software must be installed on your PC or MAC with a shared folder saved for MQS Streaming to work. More accurate EQ setting is available on the AK240 by doubling the bands (from 5 to 10 bands) and halving the dB steps (from 1dB to 0.5dB) available. One can also create and save customized preset EQ settings to fit various music genres. Through the USB connection, the AK240 can be used as a USB DAC which supports Native DSD playback. The combination of the exclusive DSD chip and the Dual DAC in the AK240 goes above and beyond most computer sound cards and is able to create a greater sense of space and deeper sound while you are listening to your music. * EQ setting cannot be used while in USB DAC mode on the AK240. In order to raise the bar of the AK240 even higher, much attention was devoted to the selection of leather for the case. Minerva leather, from Badalassi Carlo was chosen for the case. Badalassi Carlo was made by Professor Carlo Badalassi, who is known for his excellent skills with leather. He uses a traditional method of leather production that requires extensive time and devotion. His reputation is well-known among top expensive brands due to his focus on the leather quality over quantity. The leather case for the AK240 was made from a process called "Full Vegetable Tanning". This traditional method has been used in Italy for over 200 years. The process brings out the special characteristic of leather while creating a natural tanning look. A variety of trees and plants are involved in this tanning process which takes about 40 days to complete and only the most experienced professionals in Italy possess the skills to do it. This special leather material has a lot of oil in it that will allow the leather to shine the more it is used. Many tests and trials have been done with the creation of the leather case in order to highlight the unique design of the AK240. The AK240 has oodles of upgrades, including an entirely new Android based operating system, 256GB of storage and a micro SD slot for an extra 128GB of storage. Both balanced and unbalanced 3.5mm outputs plus an active matrix OLED screen. It looks like something from Blade Runner and the tech involved is for the serious connoisseur of audiophile DAPs.